Canning is therapudic. 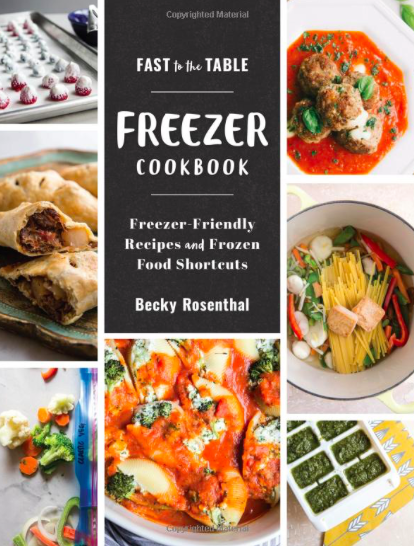 Turn on the music, get a few extra hands of good friends in the kitchen, and get ready to spend a few hours putting away the best flavors of the season, saving them for another day. This year I’ve completed one canning project- Canned Peaches. 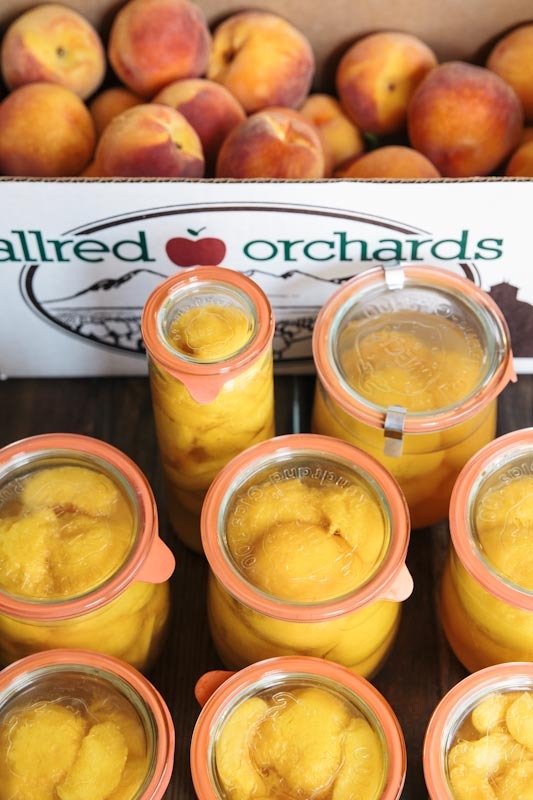 But these aren’t just any canned peaches these are perfectly ripe, in-season, peaches, with a light raw honey simple syrup poured over them, and a splash of bourbon just for an extra kick. I’m calling them Sunshine in a Jar. I’m imagining popping the lid off one of these bright yellow jars mid-winter, on a gloomy day, when I’m dreaming of warmer weather and the best flavors of summer. I’ll top a slice of cake with them, chop them up over warm oats in the morning, or just eat them right out of the jar, and instantly happiness will ensue. These peaches won’t just have been therapeutic to me, I’ll share the happiness around, so my friends can also open a jar of sunshine mid winter. 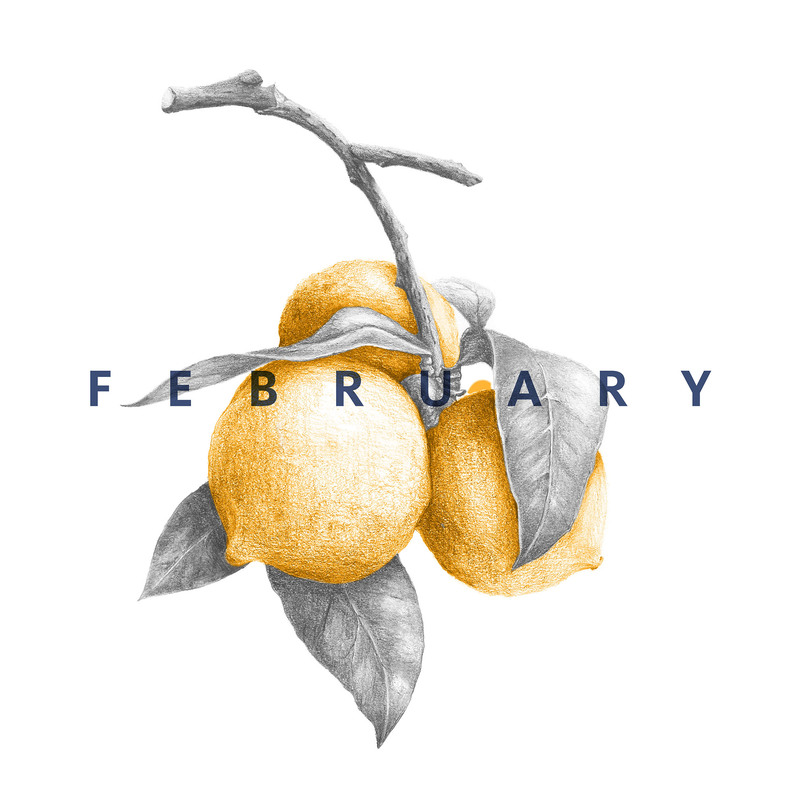 Bright yellow peaches and honey on a cold winter day, doesn’t that sound dreamy?! Canned Peaches with Honey Simple Syrup and Bourbon. Bring the sugar, honey and water to a boil then simmer until the sugar and honey is dissolved. Keep warm until ready to pour over the peaches. 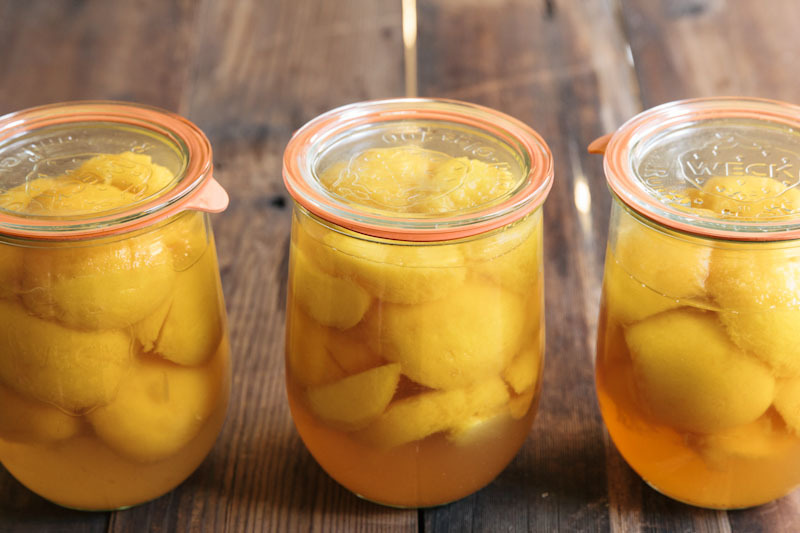 Slice peaches in half then place, cavity side down and overlapping layers, in sterilized hot jars (leaving a half inch of room at the top of each jar). 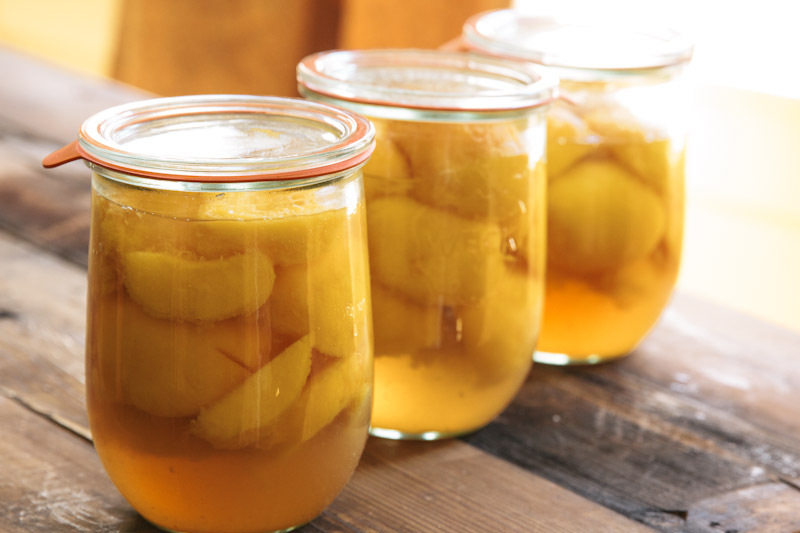 Pour hot honey simple syrup over the peaches then top each jar with 1 tablespoon of bourbon. Wipe rim of jars then place sterilized jar lids on top of each jar and process according to your jar manufacturer's instructions. Pint jars should be processed for 25 minutes and quart jars for 30 minutes. Bourbon is optional and you may use all honey instead of sugar. 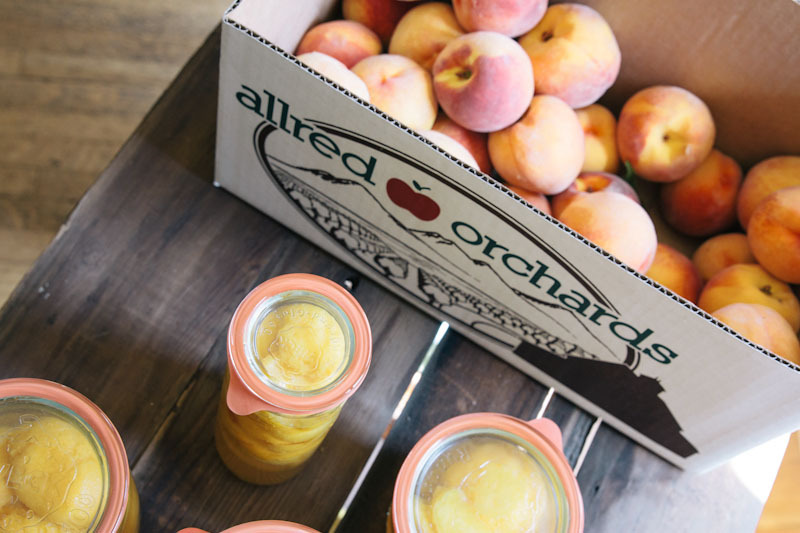 recipe adapted from Ball Jar’s Complete Book of Home Preserving, peaches from Allred Orchards via Liberty Heights Fresh. for a step by step canned peaches tutorial visit Completely Delicious. Sunshine in a jar… perfect name! Annalise just told me that you made similar peaches last year!! I should have gone to your recipe!! 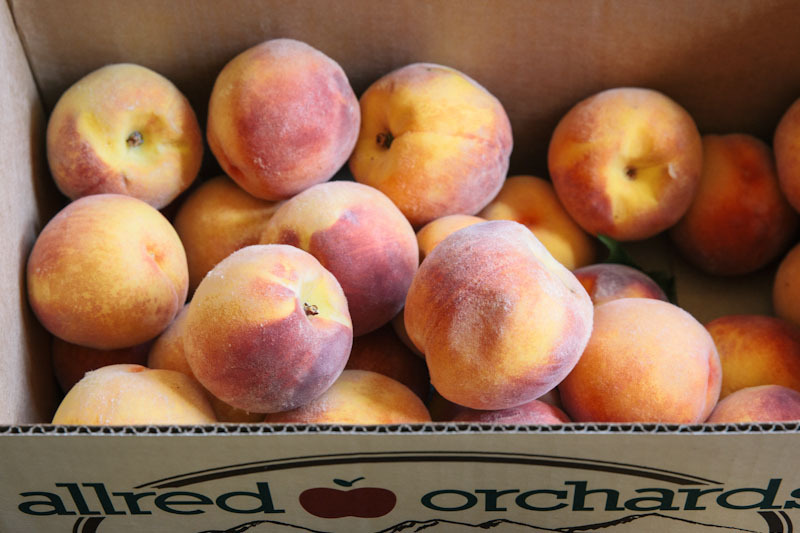 My favorite peaches in Utah, they’re lovely! home canned peaches are so good with bacon gravy and biscuits for breakfast. My grandma used to make this when we visited her in West Virginia.